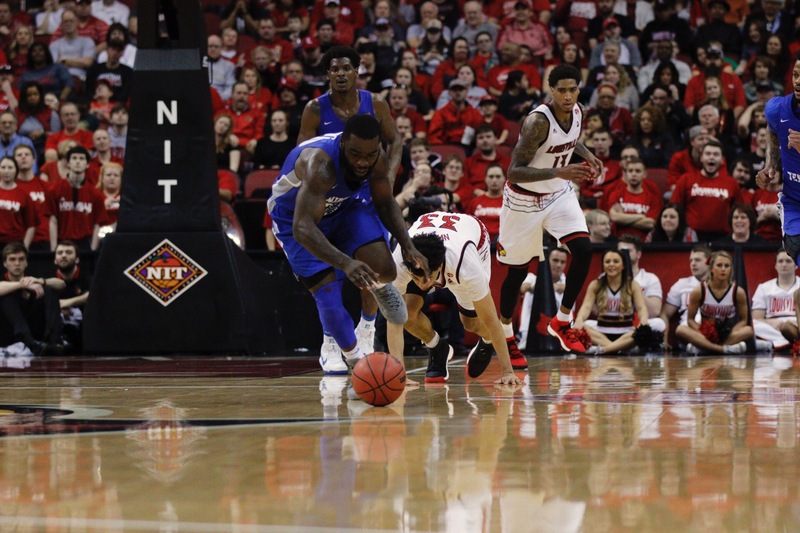 The Middle Tennessee State Blue Raiders (25-8, 16-3) were eliminated from the National Invitation Tournament on Sunday night, as they fell to the Louisville Cardinals (22-13, 9-9) by a score of 84-68 in front of an energetic crowd of 13,050. It was an intense back-and-forth affair early, as both teams exchanged buckets in the opening minutes of the game. With seven lead changes in the first quarter, neither team led by more than four points. 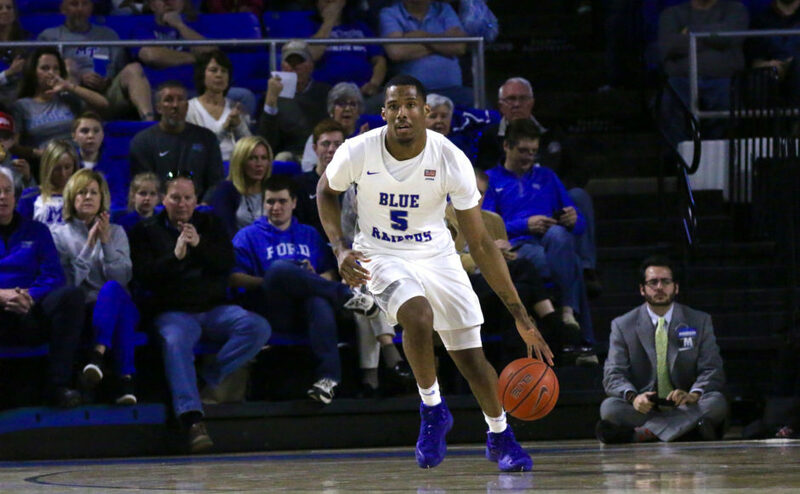 The Blue Raiders pushed out to a 16-12 lead with only 1:21 remaining in the first period following a Brandon Walters layup. 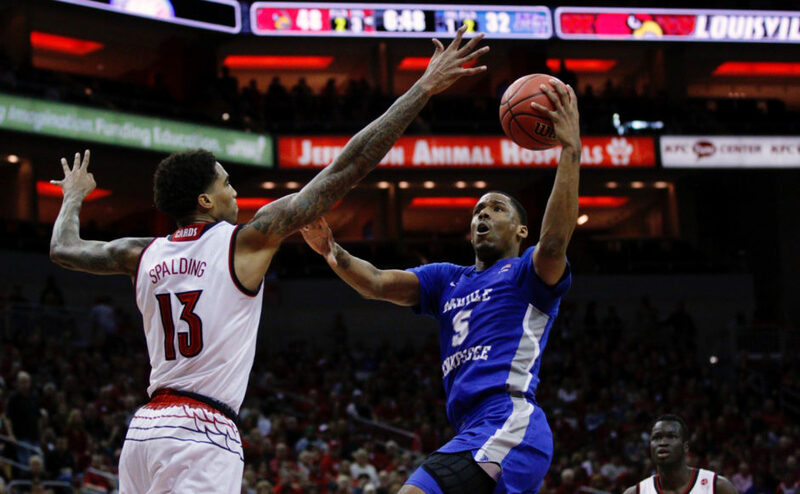 The Cardinals then cut the deficit to only one by the end of the quarter when freshman guard Darius Perry connected on his only three-point attempt to send his team into the second quarter 16-15. 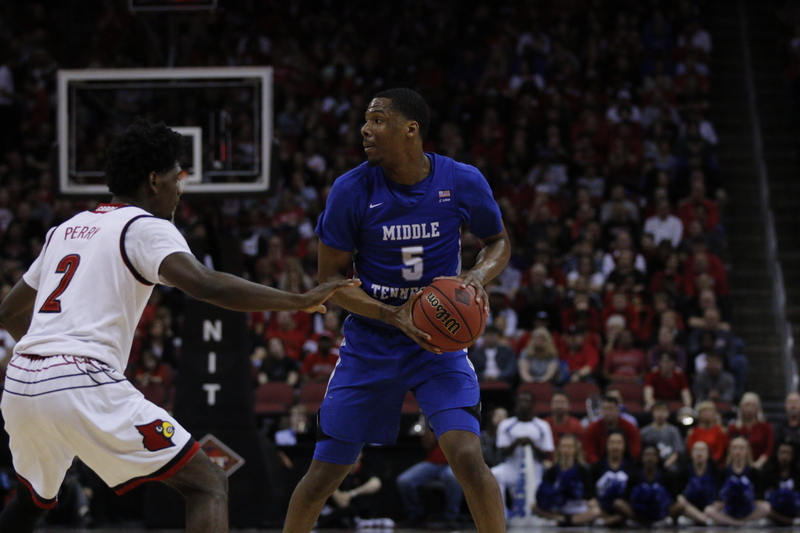 In the second frame, the Louisville bench scorched MTSU on the offensive end and suffocated them on defense. 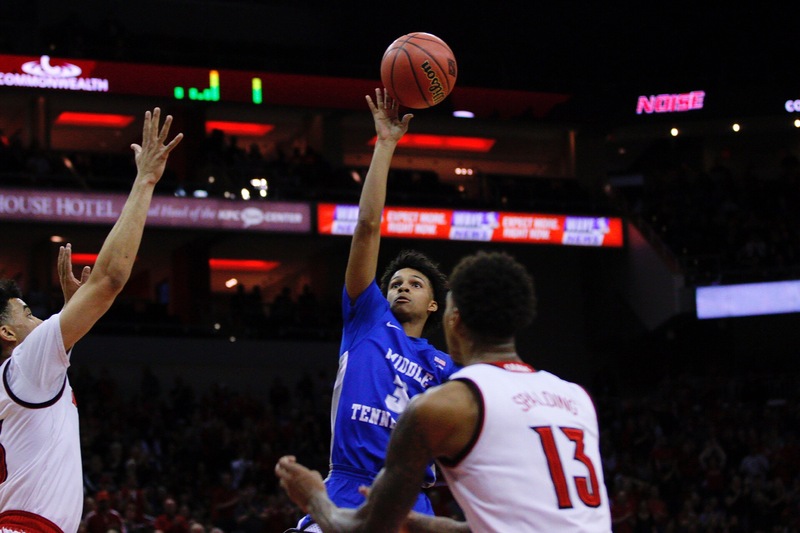 When the halftime buzzer sounded, the Cardinals had outscored the Blue Raiders 26-10. The big difference in the quarter was the three-point shooting of Louisville guard Ryan McMahon. McMahon knocked down all four of his three-pointers in the second quarter, as his red-hot shooting propelled the Cardinals to a 12-0 run in a span of only three minutes. 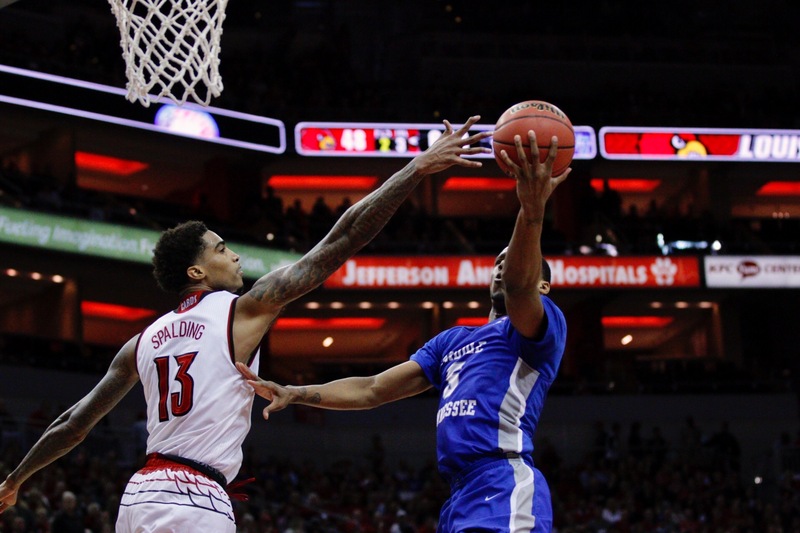 To add to Louisville’s lethal shooting, the Cardinals defense held MT to only 10 points on 33 percent shooting in that frame, giving them a 41-26 lead going into the second half. 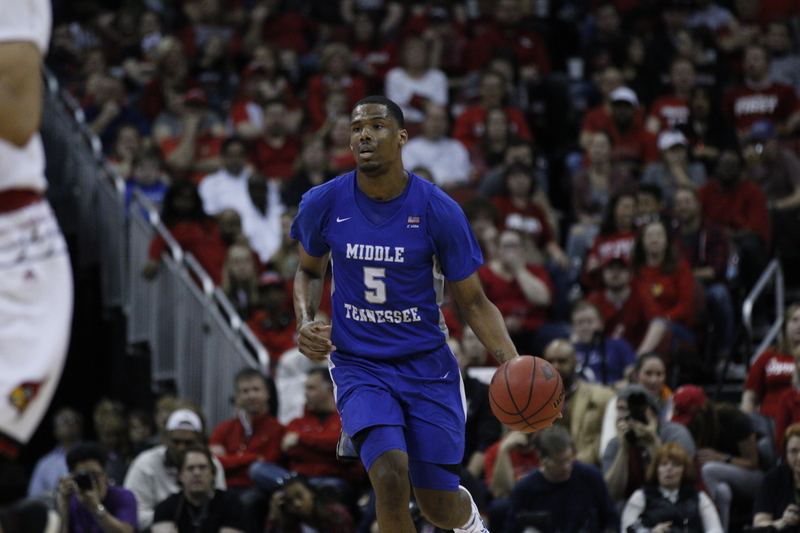 The Blue Raiders gained minimal ground in the third quarter due to their inability to get stops. 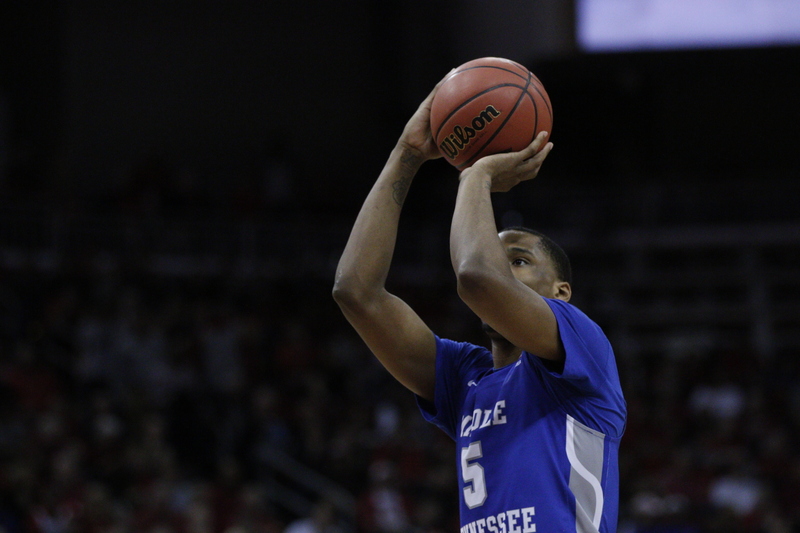 Walters set the tone on MT’s first possession of the half with a smooth up-and-under move under the basket. 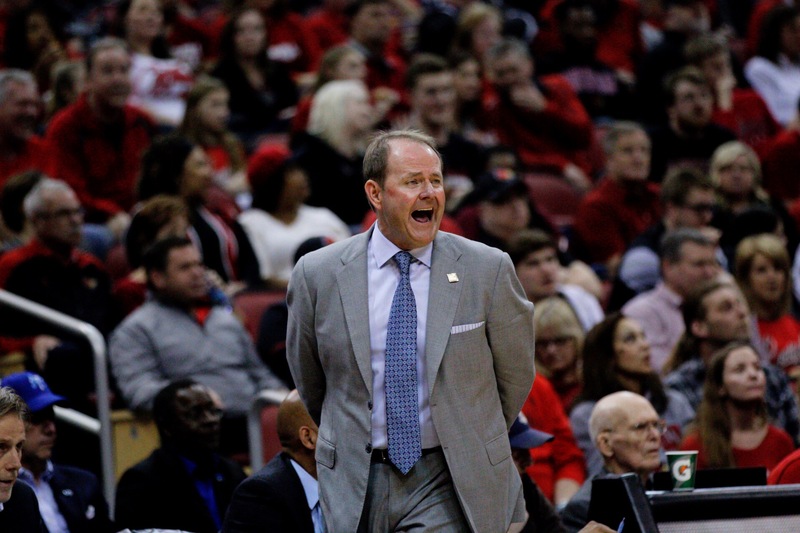 Despite the hard-earned basket, Louisville responded quickly as Dwayne Sutton drove into the teeth of the defense and finished strong with a layup. 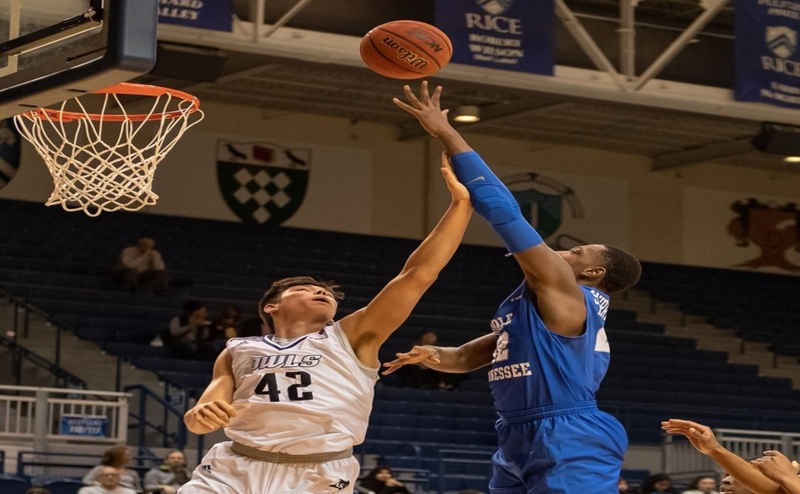 Senior forward Nick King came alive in the third quarter, scoring seven straight points to help cut into the deficit. 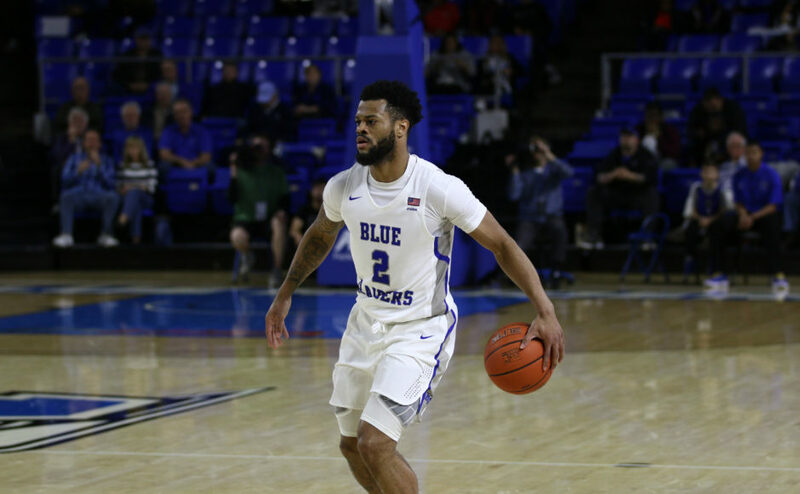 This was followed by an Antwain Johnson corner three-pointer to pull the Blue Raiders within seven points by a score of 56-49 with 2:48 left in the third. Despite the furious scoring run by MT, the Cardinals responded in a big way. Coming out of the timeout, Louisville freshman Jordan Nwora made a corner three-pointer, followed by a jump hook by forward Ray Spalding to push the lead back to 12. Louisville ended the quarter on a 9-2 run in the final 2:48 of the third. In the final quarter, Louisville pulled away for good. 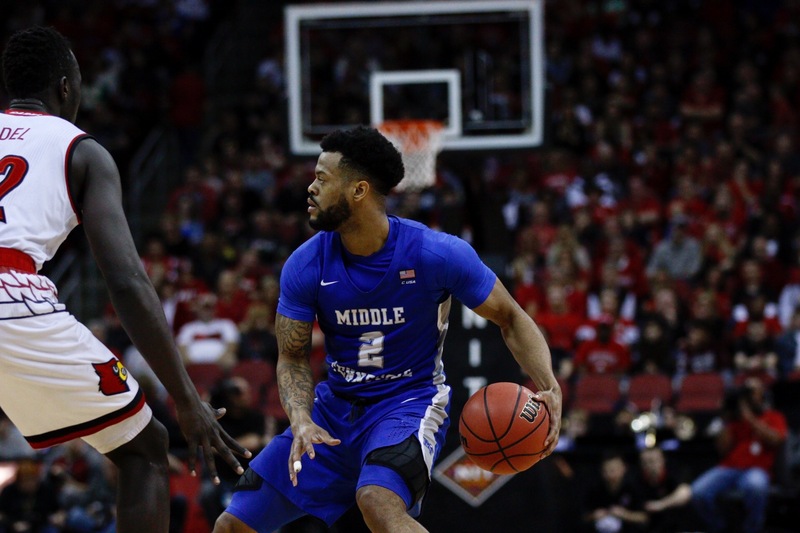 The Cardinals sealed the deal by outscoring the Blue Raiders 19-16 en route to an 84-68 victory to advance to the quarterfinals of the NIT where they will face the Mississippi State Bulldogs on Tuesday. The Cardinals’ biggest strength in this game was their efficient three-point shooting from two of their bench players. McMahon scored 15 points on 4-7 shooting from beyond the arc, while Nwora connected on four of his eight three-point attempts for 17 points. 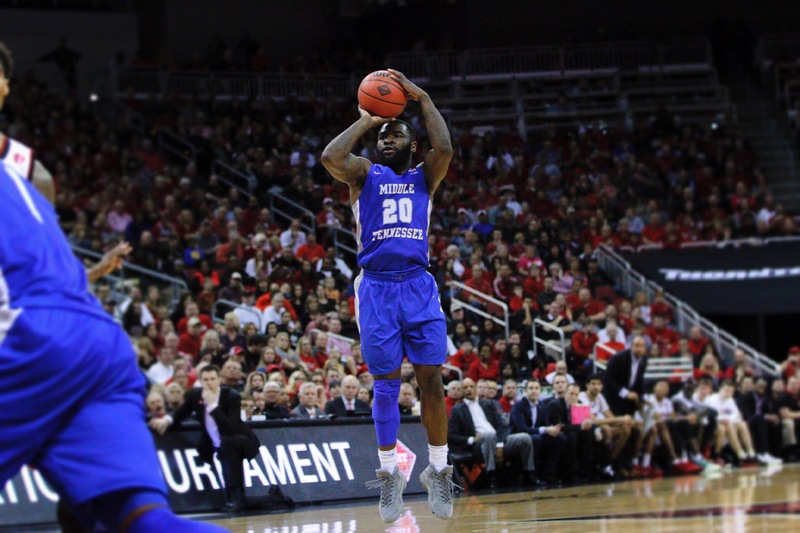 The Louisville bench unit out-scored Middle Tennessee’s by a tally of 42-18. 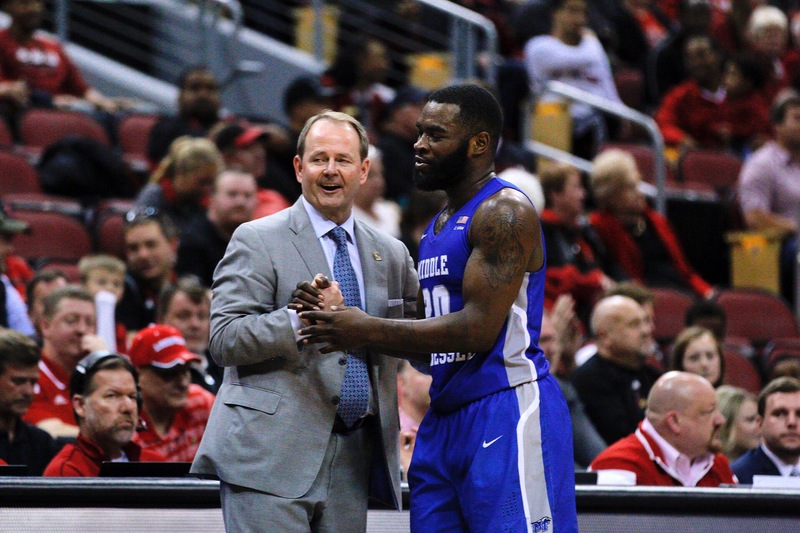 With the loss signaling the final game of the season, it also completes the final game of the Kermit Davis era at MTSU and the collegiate careers of seniors King, Walters, Giddy Potts and Ed Simpson. 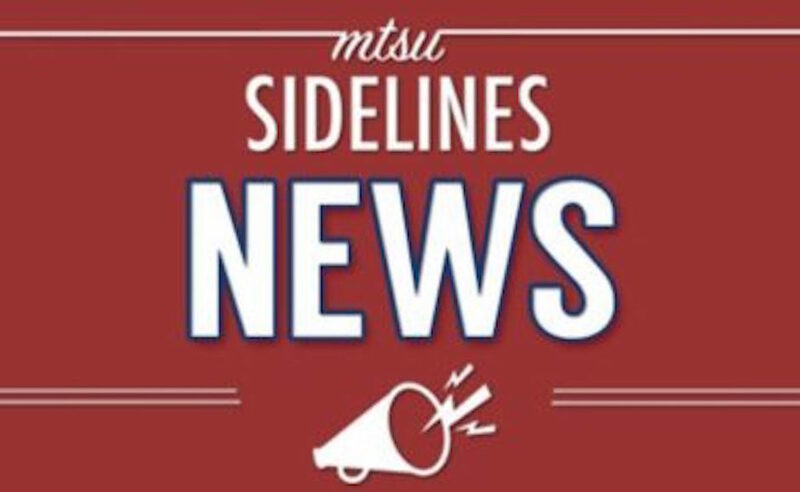 It was an emotional press conference, as Davis reflected on his time as the Blue Raider coach before he heads to Oxford, Mississippi, to become the coach of the Ole Miss Rebels. The game was also the final game in the decorated career of Potts. 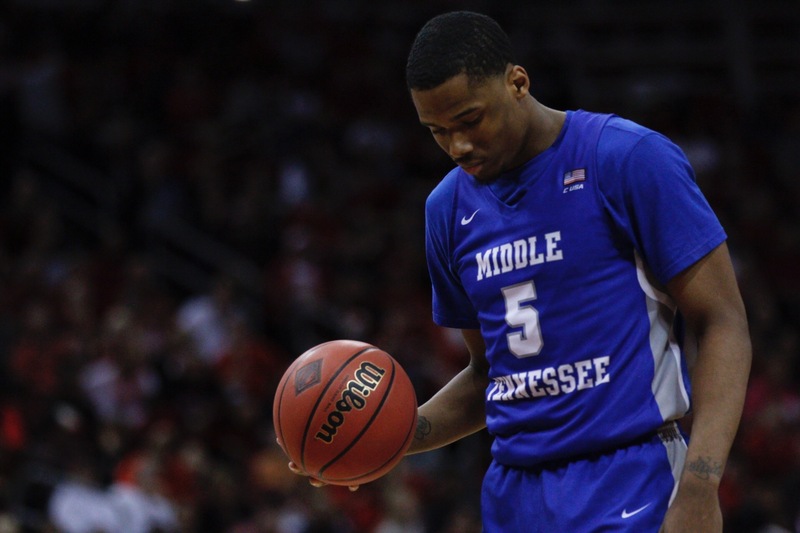 Potts, along with Simpson, hold the all-time wins record at MTSU to go along with being the school’s all-time leader in three-point field goals. 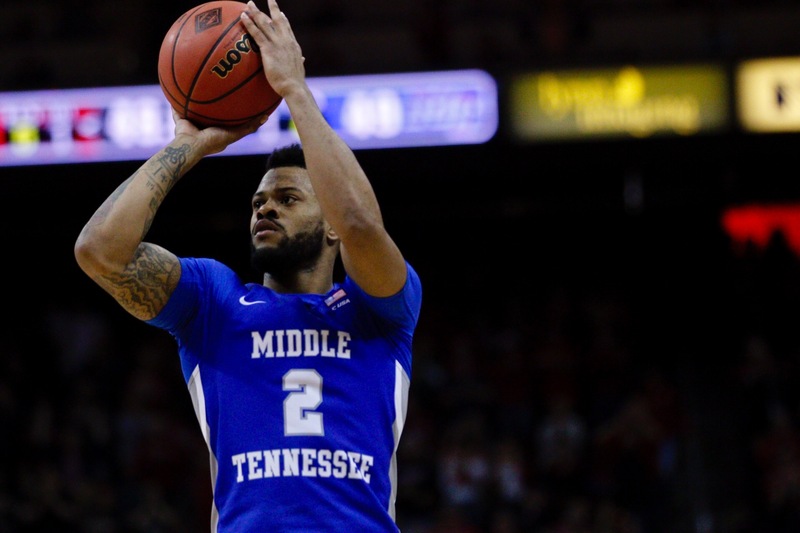 For Potts, his hard work and dedication to his craft paved the way for one of the more successful careers in Middle Tennessee basketball history. Davis chimed in with his admiration for Potts’ work ethic and leadership skills. 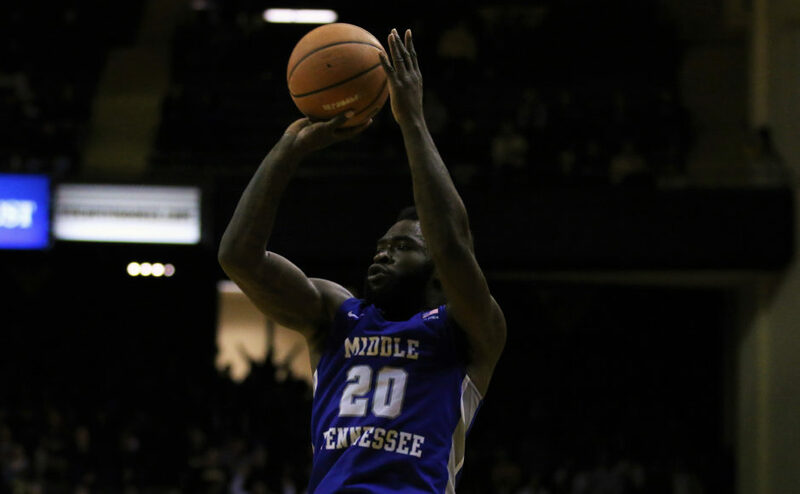 For King, the end of this game caps off a wild ride that led to stops at Memphis, Alabama and Middle Tennessee. With the season coming to an end and with Davis leaving the school after 16 seasons, he believes the program is in a better place than we he came in and that the program will be in good shape in the future.